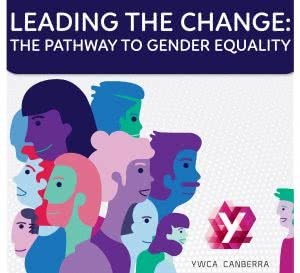 #LeadingtheChange is YWCA Canberra’s flagship gender equality advocacy platform. The ACT can be the jurisdiction that leads the change in gender equality. The Leading the Change report outlines the many positive achievements for gender equality in the ACT. The report also recommends opportunities and initiatives that the ACT Government could adopt to take the next steps towards gender equality. We believe gender inequality is preventable and can be addressed in the ACT through the implementation of gender responsive governance mechanisms, policies and practices to promote gender equal workplaces, primary prevention programs to eliminate the drivers of violence against women and housing and homelessness services which are sensitive of the needs of all women. Joining the movement for gender equality, using our Advocacy Toolkit.